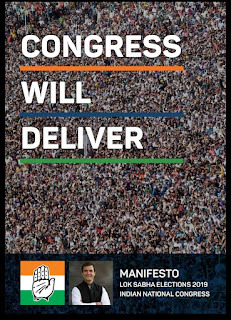 Good news, great advocacy, Indian National Congress has included #SeniorCitizens in their #LoksabhaElections2019 Manifesto, its first party to do so, we will be happy to see BJP and other Parties to follow it. 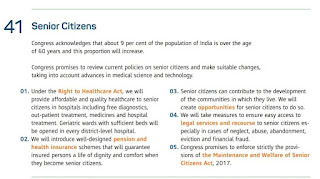 Indian National Congress Manifesto for Senior Citizens : 5 key Points (page 43). Congress acknowledges that about 9 per cent of the population of India is over the age of 60 years and this proportion will increase. 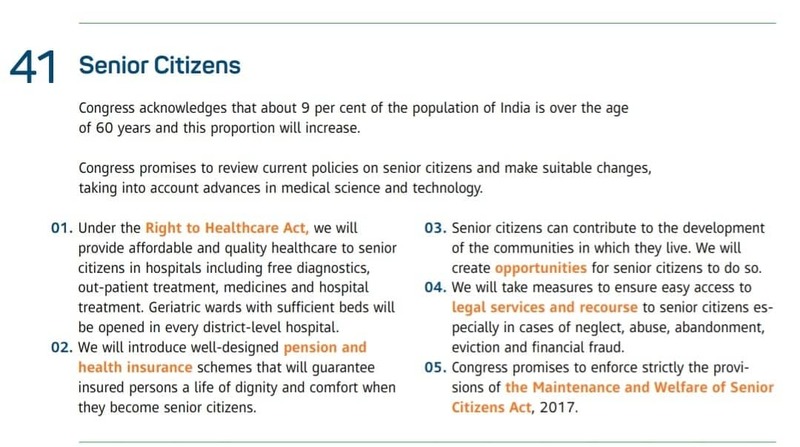 Congress promises to review current policies on senior citizens and make suitable changes, taking into account advances in medical science and technology. 1) Under the Right to Healthcare Act, we will provide affordable and quality healthcare to senior citizens in hospitals including free diagnostics, out-patient treatment, medicines and hospital treatment. Geriatric wards with sufficient beds will be opened in every district-level hospital. 2) We will introduce well-designed pension and health insurance schemes that will guarantee insured persons a life of dignity and comfort when they become senior citizens. 3) Senior citizens can contribute to the development of the communities in which they live. We will create opportunities for senior citizens to do so. 4) We will take measures to ensure easy access to legal services and recourse to senior citizens especially in cases of neglect, abuse, abandonment, eviction and financial fraud. It's good that Congress party is first political party which has given detailed agenda for Senior Citizens. Good thing is they have stress upon Senior citizens,Participation and Experience utilization in the local community. But it's very General agenda. They failed to mention National Policy of Senior Citizens. And regarding point no. 5 ... The amendment bill is already pending in Parliament. Don't miss this Eye Opener: Tata Trusts REPORT ON OLD AGE FACILITIES IN INDIA : INDIA has ONLY around 1,150 facilities FOR around 97,000 elderly: This is what we at #Silverinnings have been saying all this while of lack of facilities and services for Senior Citizens in India. The study looked at both old age homes and senior living developments in India, built an extensive sample set of 480+ old age homes and 60+ senior living developments in 84 cities, towns and districts cutting across geographies, size, cost, facilities offered, ownership and management. It projected the sample set to countrywide population data extracted from 2011 census of India, and arrived at an estimate of around 1,150 facilities and the capacity to house around 97,000 elderly residents. 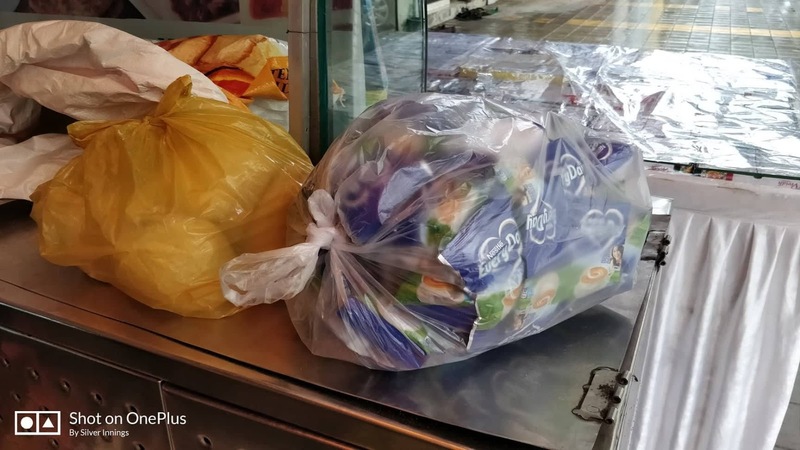 Forecasting likely demand driven by increasing elderly population and change in preferences owing to availability of new products and socio-economic norms, the study pointed towards a crying need to enhance the capacity almost eight to ten-fold over the next decade. 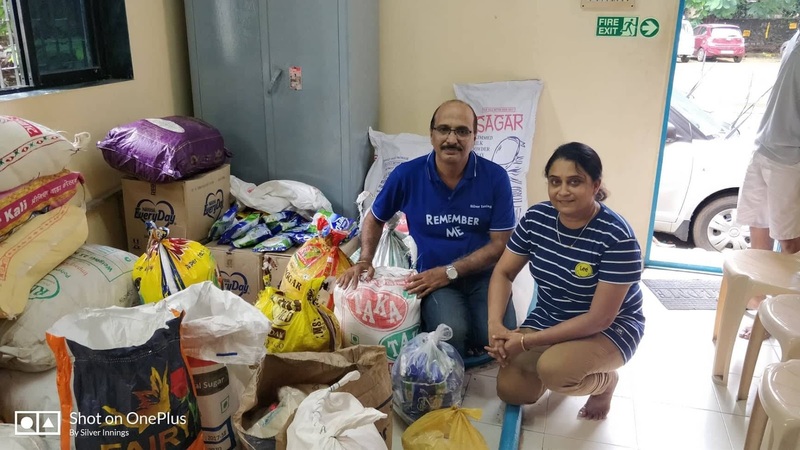 Special Opportunity for Mira Bhayandar Residents to Help #KeralaFlood Victims. 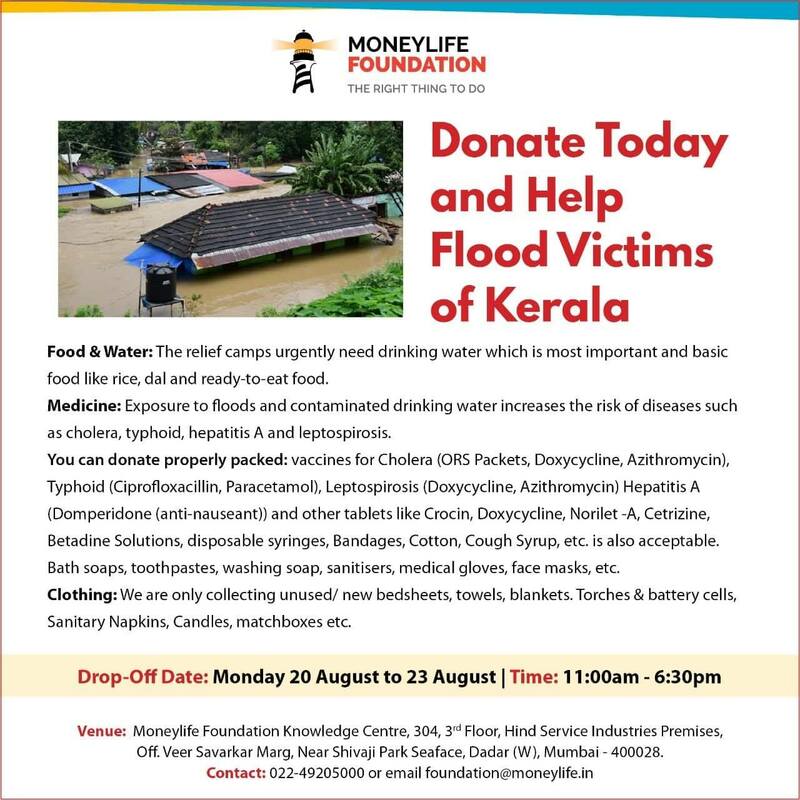 Campaign by Moneylife Foundation: Donate Today and Help Flood Victims of Kerala. As you are aware, Kerala is in deep trouble due to the devastating floods, leaving many still under water. The immediate priority is rescue and emergency survival relief. 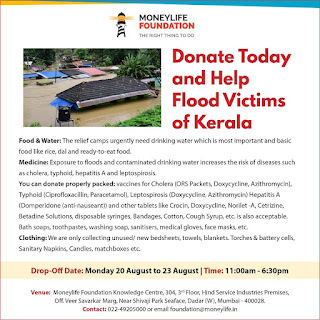 Moneylife Foundation is partnering with other NGOs and will serve as a collection centre for donation items. We will accept drinking water, non-perishable food items, new clothing items and other essentials. These items will be sent to Kerala in coordination with other verified NGOs. 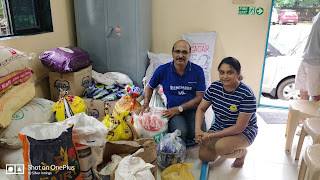 At Silver Innings, we have already donated Food Items to 'The Food Army' on 19th Aug 2018. But we got request from many for their contribution. 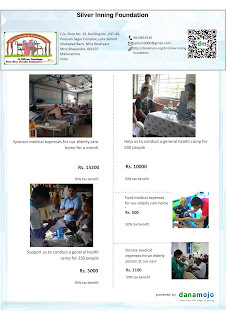 Appeal to all, to please Donate in Materials as listed below- in package mentioned - with a proper bundle / bundles - with your name, phone number and list of item clearly mention. We will not take anything which is not mentioned below and also we wont take any money. 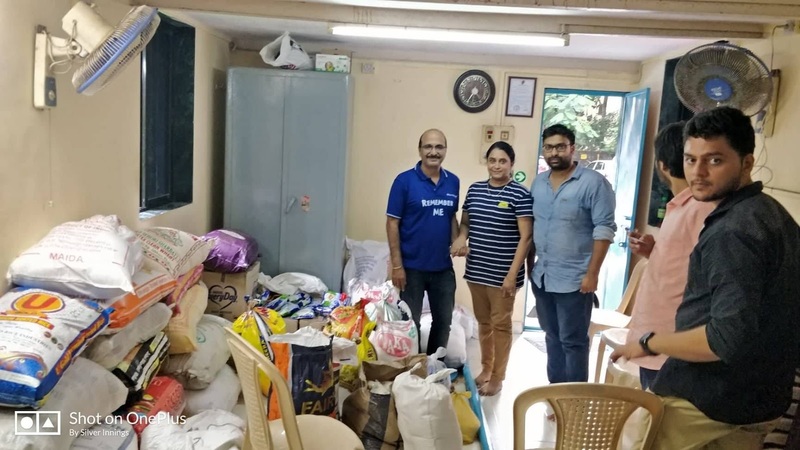 All material collected will be delivered at Moneylife Foundation office at Dadar (W), Mumbai on 23rd Aug 2018 for further distribution. You can also delivered directly to Moneylife office at Dadar. 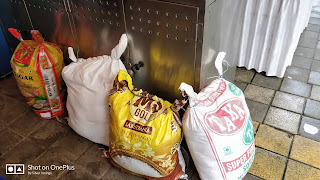 Our Social Responsibility.... We tried our best to Help our own people in Kerala .... Today 19th Aug 2018, we at Silver Innings and Pritams Serving Surprises and Sushma Malhotra delivered Total 100 kg Rice -in 1 kg pack, 5 kg sugar - in 1.kg pack and 100 pack of Milk powder -1 kg Milk powder to The Food Army at their Dahisar center Mumbai. 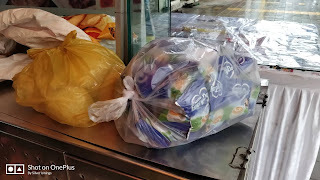 Thanks Manjula Nair for connecting. 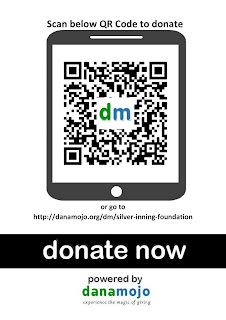 Now just scan QR Code and Donate : Support us for Medical Camps and Health Awareness for Senior Citizens - All donations will be matched by YES FOUNDATION up to INR. 2.5 lakh. Silver Innings since 2008, is working towards creating Elder Friendly World where Ageing becomes a Positive and Rewarding Experience. You are 60 plus and your children's are in another country / city, Will you relocate ? On July 5th 2018 we posted this important question on Facebook and we got various comments, which we thought are not only interesting but also shows change in mindset of traditional Indian / Asian Ageing population. You are 60 plus and your children's are in another country / city, they can't come and stay with you, But they ask you to come and settle with them, What will you do ? Susan Dmello Barton or just maybe your kids who are abroad can find solutions and caregivers in YOUR OWN HOME IN India... they financially stand by you and visit often so win win for all. Nidhi Raj Kapoor Good question and great conversation here. You should do a study and compile the findings. I would love to hear more. Rajeshwar Devarakonda Sailesh Mishra Apt question. In my case, the child - me, relocated. I tried and then understood that the parents too have their social life and to expect them to make yet another sacrifice and become yet another object in your house is inhuman. Vanita Kumta This is where having a heart to heart conversation and abstaining from imposing ones point of view over another could perhaps have been helpful to avoid a sad incident. Bernadette Ferrer Sailesh Mishra, the article reported is an isolated incident. The mindset of US white folks are Selfish and Narcissistic. Do not Ever compare with their mindset with ANY ASIAN whose embedded culture revolves around family! Second, the SON who was shot by his mother Did Not RESPECT his own mother's wishes to Stay Home. The Sons was Enabled by HIS family members & Girlfriend to FORCE his own mother to leave her comfort zone. Alternative solutions for his mothers5care exists...PAY FOR 24 HOUR Nurse or Caregivers! I truly Suspect that the SON and Family members had a Hidden Financial Agenda. Sailesh Mishra, you're seasoned enough to Discern cultural Mindsets! Asha Uberoy No body wants to go and live in another country at this age. And remember a father can look after 10 kids. But 10 kids find it difficult to look after one father. It is the law of life. The water in the river keeps flowing forward. We must not, cannot blame our children or anyone else. Bhavdeep Pandya We can always create ability to change.. greatest issue is people only change by force. Vanita Kumta Firstly if one feels one can adjust to a new country at the age one has reached it is a good option,secondly one must have trust and faith in them only then,thirdly as long as one feels able to take care of ones needs independently it is worthwhile staying put,or resorting to assistance or joining an assisted living facility or a senior citizens home that suits ones needs financially. Most importantly one needs to keep on going on as far as possible,with a positive outlook and not succumb to the growing pressures around. It is a difficult situation and a level headed choice is necessary. Remaining as active as possible,without stretching out ones hands in desperation,yet asking and taking help when needed is imperative. 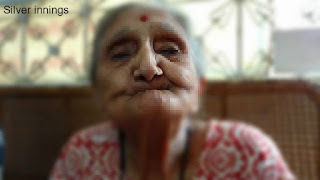 Vanita Kumta From real life instances I have seen ,I know seniors who have no children and lose their partner,I have also seen seniors who have children often living in India in the same city,yet at the crucial hour they are not in a position to reach out to their aged parents due to official engagements. All said and done life is unpredictable. It does not follow any book. One needs to actively accept everything 100% however unpleasant . Having said that it is necessary to have a plan of action worked out between the couple whilst they are both living,taking the children too into confidence. The problem more often than nought is that communication and discussion on certain unpleasant ,however obvious realities of life is often lacking or postponed for later. But unfortunately, ' Time And Tide Waits For No Man'. Mohan Siroya Very sane advice. Bina Umesh Raj Sharma I feel if at this age you can adjust and mentally prepated then one should go and stay with the children in India/abroad. The children will also be comfortable since the whole family is a one place unless they have an ulterior motive. Aileen Marques It will depend on what i feel, how I feel and why I feel... In terms of the choice of settling in a New place. In most cases i have handled senior citizens preferred the comfort of their house and neighbourhood in their silver years. they said they feel the urge to live life more independently. Susan Dmello Barton I totally agree... the kids are always welcome to "visit" Also in this day and age you can monitor everything what with c.f. tv cameras and full time police cleared maids and home help... they enjoy their independence AND you are always welcome for visits and holidays etc... let's not take away their dignity. I think for me it’ll depend on a lot of things... my health / my finances/ my spouse! वरिष्ठ नागरिक सेवा संस्थान It is difficult for parents to shift . Ashok Maheshwari Never. I am Hindustani and at 80 crossed, I want to spend my allotted time in my own country. Puneet Sunita Khurana I'd ask them to F... off! Amita Rs What about in olden days when people relocated from villages to town in search of better life? How did those older adults feel then when their children left them and the big farming lands behind for city jobs? Only some things have changed but rest of the issues remain same. CA Hemant Damodar Mehta One has to choose with balanced mind .. to be useful to Society here in India or to spend life with son/daughter abroad depending your physical capacity and health. We thank all for their views and opinion, this will help us to plan our Future. 'CII - Senior Care Industry Report India 2018: Igniting potential in senior care services' May 2018. This Report was launched at 4th Edition of Global Exhibition on Services (GES) Specail Task Force meet "Senior Care, “Senior Care - Focused Group Discussion on Understanding Best Practices & India’s Way Forward: Building Partnerships & Collaborations” on 16th May 2018 at the Bombay Exhibition Centre, Mumbai, India. This is very interesting one of its kind Report, collaborative by Senior Living Community, The Confederation of Indian Industry (CII) and Ignox Consulting. The senior population in the world is the fastest growing segment with 60 plus population touching 11.5% of world population. As per estimates, by 2050, the 60 plus population will increase at 22% and outnumber the population below 15 years of age. This rapidly changing global demographics has resulted in a sharp rise in the demand for senior care services. This coupled with an increased life expectancy of the population, and an increased tendency globally to have nuclear families, has further accelerated the growth in the senior care sector. As a result of various favorable factors, the market for products and services for seniors is expected to increase from almost $320 billion in 2013 to $436.6 billion by 2018, representing a five year compound annual growth rate of 6.4 percent, according to a market research report by BCC Research. The global research agency Persistence estimates that the global elder care services market will reach a market valuation of USD 1767 billion by end of 2025 reflecting a 8.4% CAGR over this period. In India, 30 years from now, the elderly population in India is expected to triple from 104 million in 2011 to 300 million in 2050, accounting for 18% of the total population in 2050. To understand this in perspective, while the current population of elderly in India (134m in 2020) is fast reaching the current size of population of Mexico (130m) or Russia (143m), the 2050 population of elderly will be close to the population of the United States (326m - 2018) today. We have in India approx. 12 million 80 plus population which is similar to the total population of countries such as Belgium, Greece, or Cuba. NGOs/ Thinktanks/ and International bodies. The starting premise of such a concerted effort is to bring clarity on the definition of which formats and groups constitute senior care. 9 formats have been discussed and selected as senior care industry formats. 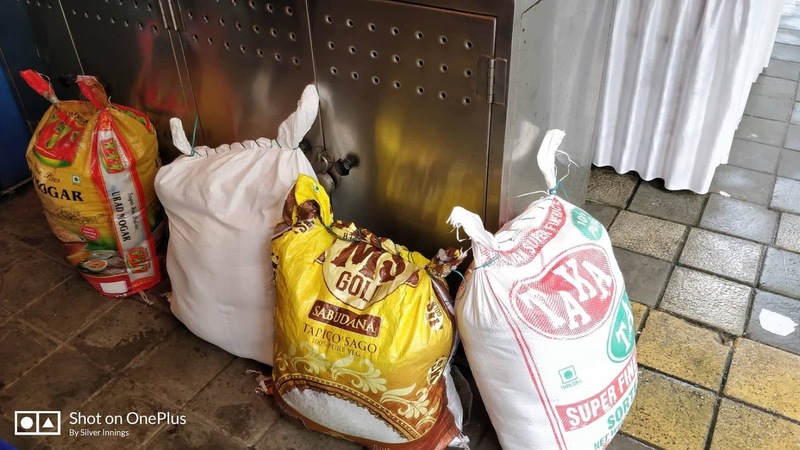 Once this is approved, this will form the basis for development control regulations at the state level, and revenue concessions or banking privileges as extended by central government departments. The content of this Blog, including text, graphics, images, information are intended for General Informational purposes only. 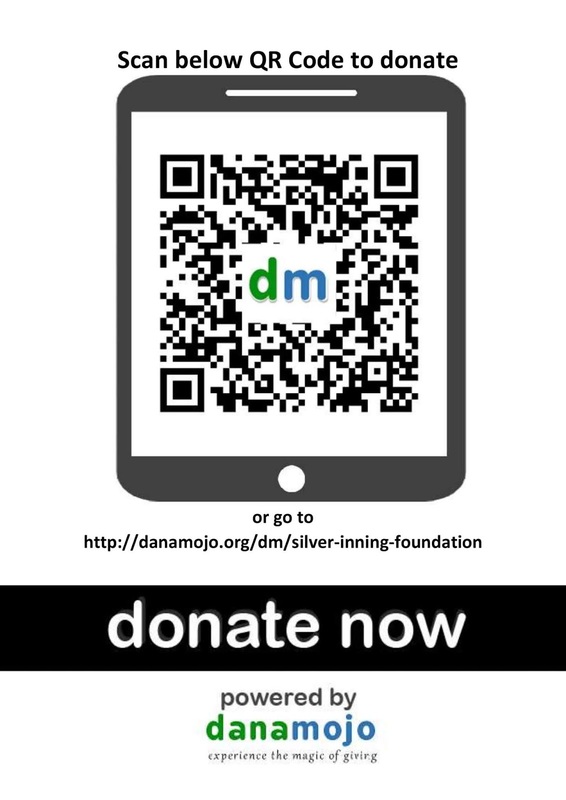 Silver Innings Blog is not responsible for, and expressly disclaims all liability for, damages of any kind arising out of use, reference to, or reliance on any information contained within the site. While the information contained within the site is periodically updated, no guarantee is given that the information provided in this Web site is correct, complete, and up-to-date.The links provided on this Blog do not imply any official endorsement of, or responsibility for, the opinions, data, or products available at these locations. It is also the user’s responsibility to take precautionary steps to ensure that information accessed at or downloaded from this or linked sites is free of viruses, worms, or other potentially destructive software programs.All links from this Blog are provided for information and convenience only. We cannot accept responsibility for sites linked to, or the information found there. A link does not imply an endorsement of a site; likewise, not linking to a particular site does not imply lack of endorsement.We do not accept responsibility for any loss, damage or expense resulting from the use of this information.Opinions expressed by contributors through discussion on the various issues are not necessarily those of Silver Innings Blog. Crime against Senior Citizens on rise, my heart bleeds…………. Who Moved My Dentures? Musings on Aging.